BANGKOK: — Experts and academics have warned that Thailand will lose an arbitral tribunal process regarding allegations that it violated the Thailand-Australia Free Trade Agreement (TAFTA), because of the exercise of special powers under Article 44 of the interim constitution that are not recognised by the international community. Kannikar Kijtiwatchakul, coordinator of FTA Watch, warned that Thailand had a very small chance of winning the dispute regarding the closure of a gold mine, exposing the country to huge losses due to claims for compensation. Early last December, the National Council for Peace and Order (NCPO) issued Order 72/2559 to suspend gold mining operations nationwide, including at the Chatree mine operated by Akara Resources. As a result, Akara’s parent company, Australia’s Kingsgate Consolidated Limited, has threatened to sue the Thai government in an arbitral tribunal for violating the TAFTA. If the dispute between the government and Kingsgate does not end in negotiations, it would be resolved by an arbitral tribunal in line with the Investor-State Dispute Settlement (ISDS) process, Kannikar said. She added that would almost certainly mean the government would lose the case, because the ISDS process was designed to protect corporations’ interests. “The ISDS mechanism is designed to deal with a situation in which an authoritarian regime oppresses the foreign investors by taking over their businesses. However, this mechanism is pushed to the extreme, as investors ask for broader terms of business to benefit their bargaining power over the state,” she said. She said the government’s major mistake was to use the special powers of Article 44 of the interim charter to order the suspension of mining operations without clear evidence regarding the environment and health impacts associated with the gold mine. However, while she concluded that the government had erred by using Article 44, she added that the ISDS mechanism also posed a problem because companies can use it to leverage unfair advantage. “What concerns me the most now is the secret deal that the government plans to provide to Kingsgate, as the company stated in its latest announcement that the Thai government might be willing to provide other meaningful benefits in consideration of the shutdown of its gold mine,” Kannikar said. Piyabutr Saengkanokkul, a lecturer with the Faculty of Law at Thammasat University, said Article 44 could only apply domestically, while it would not carry force at the international level. “The power under Article 44 is unacceptable on the international stage. 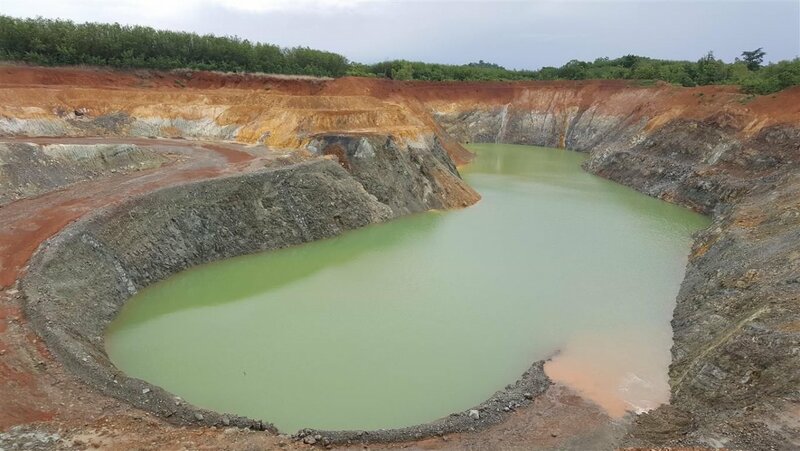 If the government wants to shut down the gold mine, they have to conduct a full scientific inspection to prove the mine actually causes environmental problems and use the existing law to close the mine,” Piyabutr said. He added that if the government loses the case and has to pay compensation to Kingsgate, it would be a financial burden for the country incurred due to a government mistake. However, Maha Sarakham University lecturer Chainarong Sretthachau said the exercise of special powers to close down the gold mine should not be used as a political weapon without referencing the real environmental and health problems that people in the area have suffered for more than a decade.